VBS analyses your voice and generates voice2voice (v2v) balancing tones optionally mixed with your favorite music, you can use both direct recording or open .wav files. 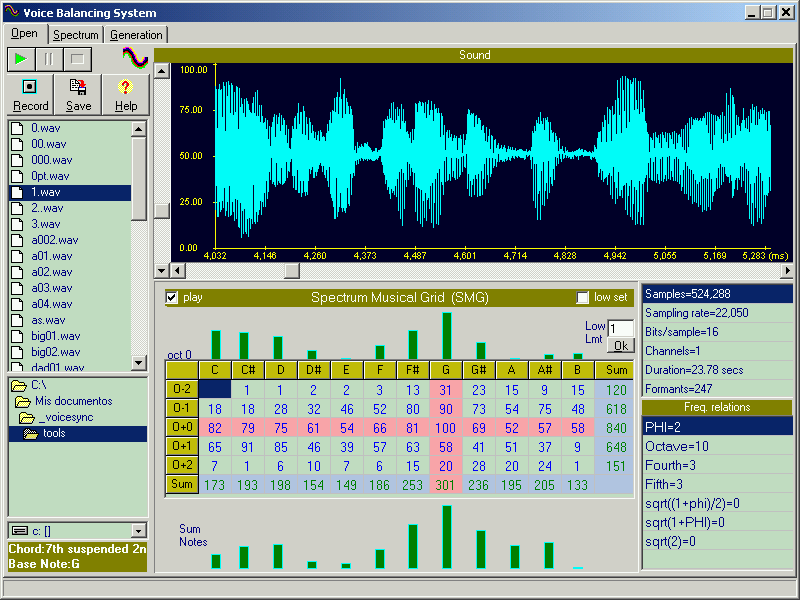 It provides graphics for detailed spectrum analysis and voice to music matching. 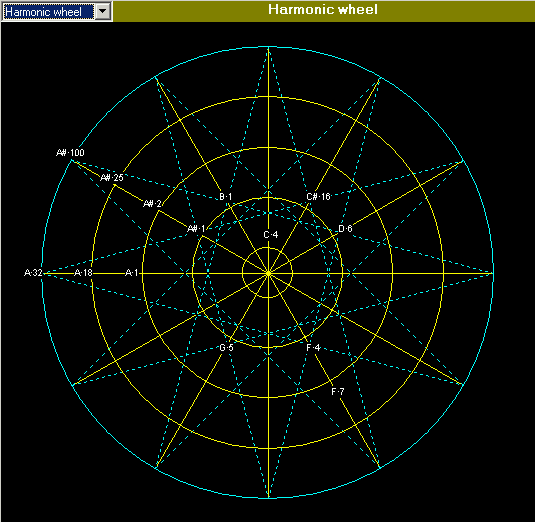 PHI and harmonic music relations between voice frequencies. 5 Octave full spectrum with octave local scale and note grid. 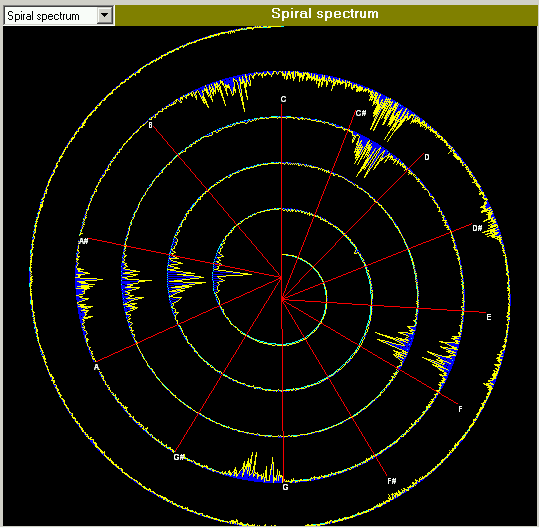 Octave formants weights each note in a 5 octave spectrum radial graph.